Just over 10 miles from our West Stow Pods glamping site is Suffolk’s much-loved Thetford Forest. 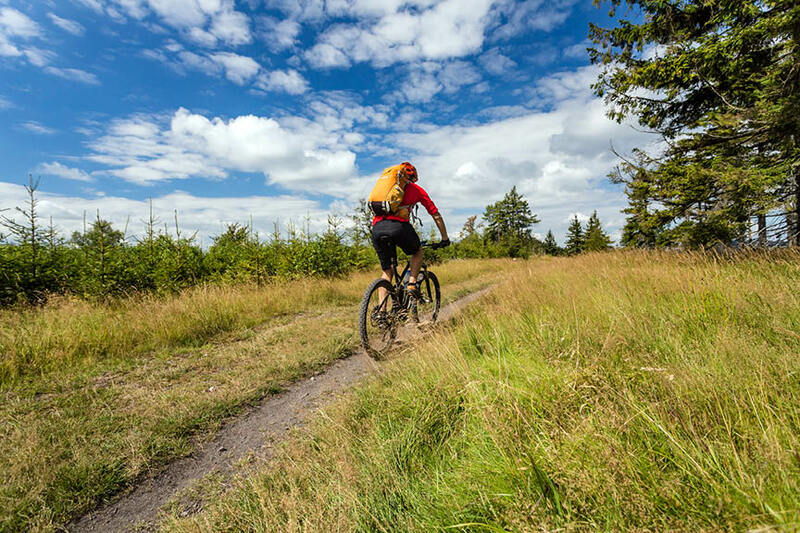 Not only does the forest host a range of scenic walking trails, but it also offers various options for cyclists. The four main cycle routes are all contained within the expansive forest and are marked by difficulty level. The easiest route is the circular High Lodge Loop (6.3 miles) which is suitable for cyclists of most skill levels. The 8.1 mile Brandon Park Loop (the blue route) is ranked as moderate and is also circular, while the Red Route (11 miles) and Black Route (10 miles) are for more experienced cyclists and are one-way tracks.